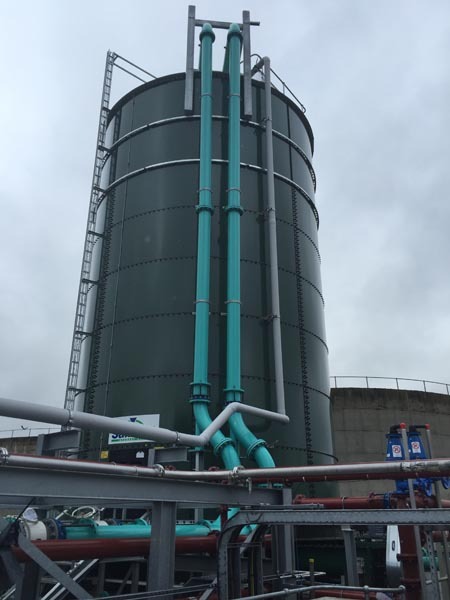 Burnley’s existing treatment works was a dated design and was producing treated sludge of which the extracted solids had no environmental benefits. 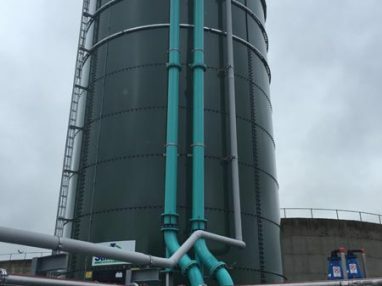 KMI were tasked by United Utilities to create a new Thermal Hydrolysis Plant (THP) which would produce an enhanced treated sludge which could be used as fertiliser on farmland. 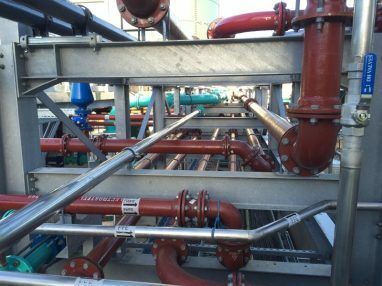 Castings Services were tasked with supplying ductile iron pipework, fittings and flanged adaptors in 150mm and 200mm diameters. THP plants are a complex design and are a mixture of ductile iron, carbon steel and stainless steel pipe with pressure ratings from PN6 to PN25. 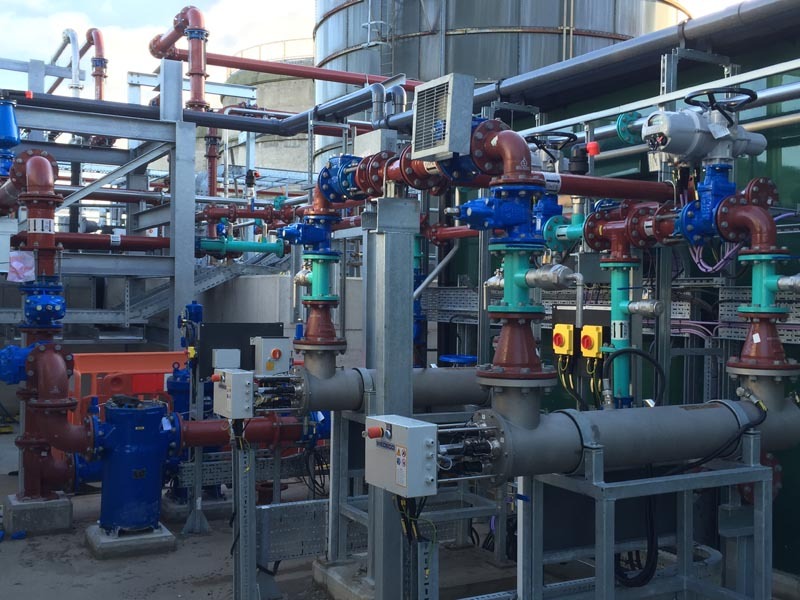 These systems all have to join together at some point which meant there were various bespoke fittings required such as T pieces with multiple flange drillings and BSP bosses. Furthermore, the project called for tied flange adaptors on all pipework which meant each length of pipe had to be specially fabricated to incorporate tie flanges. In projects of this nature the challenge isn’t really placed on the products as they are more than capable of coping in the environment. 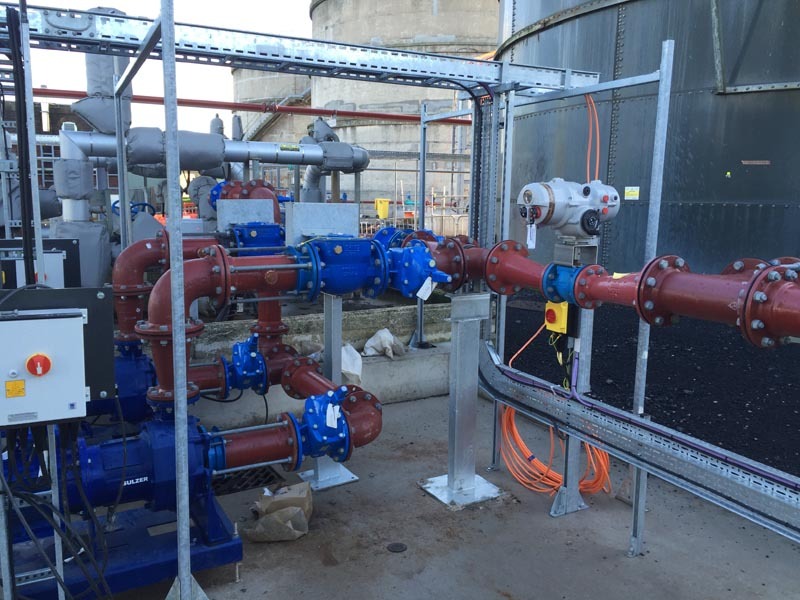 The real pressure is placed on us, as a supplier, to get things right first time and on time. Attention to detail and careful management are the only way to ensure the customers’ expectations can be fulfilled and the delivery requirements met. As with all special projects, we appointed a single point of contact that looked after everything from quotation to completion. 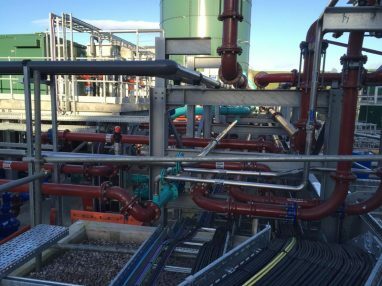 On contract award we discussed the project delivery schedule and to make things easier for the client the fabricated pipes and fittings were all numbered and packed in order of requirement.